The last few months here at Green Action Centre have been exciting to say the least! You’ve likely noticed we’ve been whipping out blogs like no one’s business and programming like it’s 1999 (so, like if we were the Y2K cleaner uppers – sooo busy). To maintain those kinda stats, we have upped our staff contingent yet again. Kristen received a bachelor of science in environmental sciences, majoring in forest ecology at the University of Winnipeg. Kristen loves everything the outdoors has to offer, and has always sought a career in the environmental field, (especially when her jobs take her outside). Kristen’s passions include reducing her waste and consumption, sourcing food from small scale farmers who practice regenerative and sustainable agriculture, learning about ways to incorporate permaculture concepts into her garden, trees and forests, canoeing, camping, and spending time out at the lake with friends and family. Kristen is very excited to join the amazing team at Green Action Centre and can’t wait to help others to adopt composting into their lives. She’ll be joining our Compost Team and helping to get all Manitobans on the black gold bandwagon! Denae is an environmentalist and outdoor enthusiast with over six years of experience in event planning and programming. 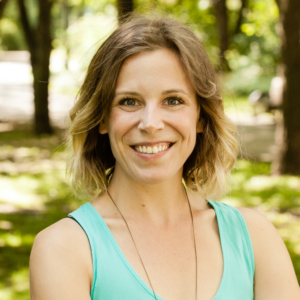 She is a University of Winnipeg graduate with a Bachelor of Arts in Environmental Studies, focused on active transportation and urban sustainability issues. Previously Denae worked as a bicycle mechanic and instructor, and has been involved in organizing bicycle rides for women, LGBTQ+, and femme individuals to help create inclusive and safe cycling spaces. Outside of work, Denae is an avid skier and runner, exploring Manitoba with her dog Rhubarb. Denae joins us as one of our Active and Safe Routes to School Coordinators. Nicole is very excited to be a member of the sustainable transportation team at Green Action Centre. She is a philosophy and communications graduate from McMaster University, that has had a longtime passion for environmental sustainability. 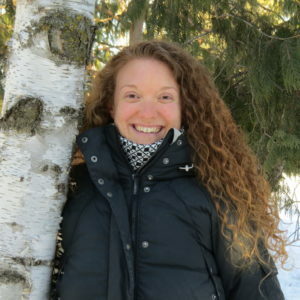 She has spent many summers leading hiking groups, tree planting across Canada, and volunteering with wildlife sanctuaries. Nicole enjoys carrying reusable bags with her at all times, tending to her house plants, and photographing her natural surroundings. 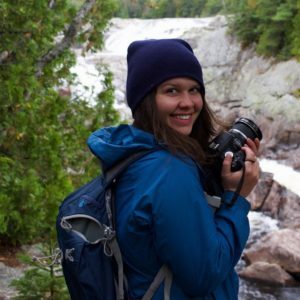 Nicole has lived in Winnipeg for over a year now and has experienced firsthand the unique challenges of navigating the city by foot, bike, and bus. She loves the challenges of breaking down the barriers Manitobans face in terms of Sustainable Transportation, and approaches this problem with openness, flexibility and a sense of fun! Nicole is our new Commuter Challenge Coordinator and also works as a member of our Workplace Commuter Options Program. Welcome Kristen, Denae and Nicole! Green Action Centre is lucky to have you! Welcome ! Looking forward to meeting you all. And nice to see Green Action Centre expanding. Thanks Maureen, and just remember – our door is always open to visitors! Monday to Friday, 10am to 4:30pm. Take care!